Is it worth it to take a hair growth supplement? Some doctors and beauty experts say yes. The right combination of nutrients can speed up hair growth and improve its density and thickness. You might also end up with longer, stronger nails as well. At the same time that you take hair growth supplements, be sure to take good care of your hair and scalp. One easy way to do that is to use moisturizing shampoos and conditioners. And speak to a doctor to see if a topical treatment for hair loss would help you, too. How to choose the best hair growth supplement? 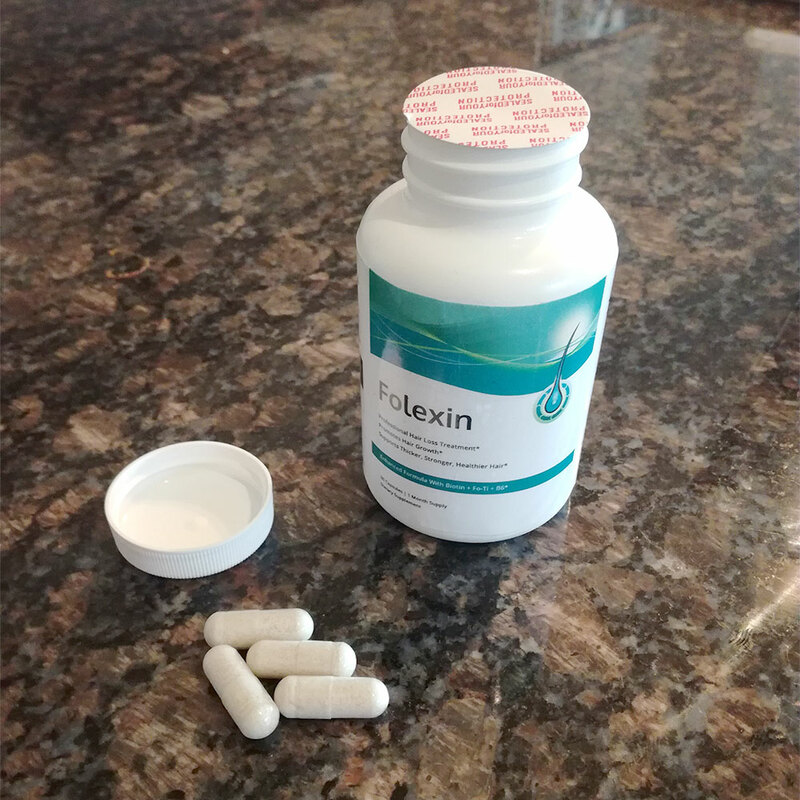 Folexin is packed with vitamins and minerals plus traditional herbal remedies for hair loss. If you’re just beginning to lose your hair, this supplement could save the day. It works for both men and women. And you only need to take two capsules a day. The supplement has a Vitamin B complex that includes biotin, or Vitamin B7, as well as B1, B12, B5, and B6. These essential vitamins improve your body’s overall functioning as well as your mood. And biotin is essential for healthy hair and nails. Next, the formula includes Fo-Ti, a Chinese herb that fights the aging process. And there’s also horsetail extract and saw palmetto, two natural solutions for hair loss. Finally, there are two more advantages to Folexin compared to similar products. Their capsules are made of vegetable cellulose, and their fillers are natural, not harmful. One of Hairfinity’s claims to fame is that their supplements are recommended by the Kardashians. The capsules have also appeared on beauty sites like Glamour. The supplement contains hair growth-boosting ingredients like biotin, horsetail with silica, MSM, amino acids, and vitamins A, C, and D. And many of these components also support a healthy scalp. Nutrufol’s supplement for women with thinning hair attacks the problem on two fronts. First, it encourages growth. Then it strengthens the existing hair to make it more manageable and shiny. As a result, the company claims endorsement by nearly 1000 professionals nationwide. Like most supplements, it takes time to see an improvement. Nutrofol explains that it takes four capsules a day for at least three months to see a noticeable difference. And if four capsules seem like a lot of pills to take, dividing the supplements up this way makes it easier for your body to digest them properly. Nutrufol focuses on fighting hair loss with nutrients that relieve inflammation, hormonal imbalance, and stress in the body. Among the ingredients list on the label, you’ll see fish collagen, saw palmetto, Fo-Ti, Curcuma longa, and horsetail, plus other vitamins, natural extracts, and minerals. Fulvic acid has been making the news. It’s reported to remove toxins at a cellular level and help people feel more energetic. And it can be applied topically or taken internally. How does fulvic acid counteract hair loss? You can apply it to specific areas where you’ve noticed thinning to treat the damaged hair follicles. Or you can mix a few drops into your favorite beverage to help your body absorb nutrients better and expel pollutants. Many times, if you improve your overall health, it will help your hair recover, too. The Viviscal Hair Nutrient Tablets have endorsements from celebrities, their hairstylists, and medical professionals. They’ve also been tested in five clinical trials. Like other supplements, this isn’t an overnight solution. You’ll need to take Viviscal morning and night for six months to ensure results. And those results should look like new growth, stronger hair, less shedding, and fewer split ends. Viviscal achieves these results with a combination of vitamins and natural extracts. It contains the AminoMar marine complex, made from protein-rich fish components. And it has horsetail, Vitamin C, zinc, biotin, and niacin. 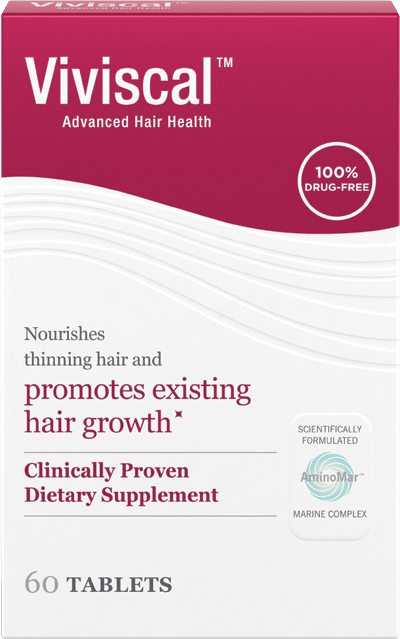 HairAnew offers a satisfaction guarantee, something many other supplement manufacturers do not do. If you don’t see results after 60 days, you can get a full refund. And not only should you notice longer, stronger hair, but you’ll also probably see thicker lashes and eyebrows as well as stronger nails, too. The HairAnew formula relies on 5000mcg of biotin, plus zinc, Pantothenic acid, niacin, and Vitamins B6, C, and E. There are also herbal extracts like ginkgo biloba, kelp, and bamboo. The Phyto Phytophanère supplement contains antioxidant vitamins A, C, and E along with a B complex and fatty acids. Fatty acids from fish oil and vegetable sources help skin, hair, and nails grow strong and healthy. Phyto recommends taking two caplets once a day for at least four months. The only downside to this particular supplement is that it uses fillers that contain gluten and titanium dioxide as well as dyes. Instead of taking a supplement packed full of extracts, minerals and so forth, why not take pure biotin? Each of these veggie softgels from Sports Research contains 5000 µg. It’s an easy way to add more biotin to your diet without altering the supplements you’re already taking. Hair grows an average of half an inch each month. But illness, stress, environmental damage, and genetics can slow it down or stop it altogether. Hair growth supplements give your body additional nutrients to help it fight off infection, manage stress, and have the resources to grow stronger hair and nails. Supplements for hair growth typically don’t contain any medication. Instead, they have vitamins, minerals, and other essential building blocks. Some contain botanical extracts and other natural ingredients. When you began to shop for hair growth supplements, there are a few questions you can ask yourself that will help you make a decision. For example, are you currently taking any other vitamins or supplements at this time? Although it may be a pain to do the math to make sure you’re not exceeding recommended daily allowances, it’s worth it to avoid overdosing on a vitamin that can make you sick. Another question might be if you know what’s causing your hair loss. Androgenetic alopecia, or male pattern baldness, can benefit from a different approach than someone who’s experiencing hair loss due to illness. When in doubt, speak to your doctor. Finally, take the time to do some research on the products. Just because something is all the rage with celebrities doesn’t mean that it’s safe or beneficial. Just ask anyone who took fen-phen in the 90s. Learn about key ingredients in hair growth supplements to understand what they can do for you. Let’s review some of the most common vitamins, minerals, and other nutrients that you’ll find in hair growth supplements. To begin, many women who are anemic from lack of iron experience hair loss. Also, low zinc and Vitamin D levels may cause alopecia areata. And free radicals from UV radiation and environmental pollution can damage follicles in the scalp. These three points mean that a regular multivitamin might be enough to stimulate hair growth, as long as it contains zinc, iron, and vitamins A, C, and E.
But you’ll also find that B complex vitamins are essential for growing hair and nails. That’s why you’ll find biotin and pantothenic acid, which is vitamin B5, in almost every supplement. Studies show that panthenol can thicken hair strands, too. If you lack biotin, you’re almost guaranteed to lose excess amounts of hair. People with poor liver function and persons who smoke may not absorb enough biotin from their diet. Pregnant women can also suffer a lack of biotin, as can people taking anticonvulsant medication. But if you supplement with biotin, not only will you be helping your hair grow, you can help your body process food more efficiently. Although biotin is water-soluble and non-toxic, high doses may aggravate acne. But one study shows that taking up to 5000mcg a day did not lead to adverse effects. Of course, check with your doctor to be sure. Vitamin C is water-soluble like biotin, and generally not toxic in high doses. It’s an antioxidant that defends against damage from free radicals. It protects your hair follicles as well as your DNA. And if you supplement your diet with extra vitamin C, you can fight signs of aging that even include gray hair. If you have alopecia, you need Vitamin D. Not only does it strengthen your bones and support healthy skin, it can create new hair follicles. And submitting with vitamin D can stop excess shedding and cause new hair growth with as little as two months of treatment. But take care with this vitamin as consuming too much of it can make you sick. Studies have linked iron deficiency to alopecia and other types of hair loss. If you suspect that you lack iron, see a doctor. There is a simple blood test that can reveal if you are anemic. Supplementing with too much extra iron can cause illness. Zinc stops hair follicles from failing and helps them recover. It’s effective for treating alopecia, telogen effluvium, and male and female pattern hair loss. If you don’t already take a supplement with zinc, consider adding it to your diet. Fatty acids from fish oil make hair growing thicker and stronger. A study done in 2015 showed that women with female pattern hair loss who took omega fatty acids and antioxidants experienced positive results. After six months, almost 90% of them noticed thicker, denser hair. If you’ve been studying up on hair loss, you may be aware of DHT, the molecule that causes the problem. It derives from the hormone testosterone. But saw palmetto blocks the enzyme that converts testosterone to DHT. Its action is similar to that of finasteride, sold under the brand name of Propecia. But be careful taking saw palmetto because it interacts with some medications. If you’re committed to stopping and reversing hair loss, try taking one of the best hair growth supplements. They can give you the nutrients you need to stop shedding and grow thick, healthy hair. And they reinforce the action of topical treatments. WOW! This article really useful for me. I confused for choosing the hair loss care information what would be the best for everything. But review this article my confusion has cleared. Thanks a lot for sharing such an informative article about “8 Best Hair Growth Pills: Supplements & Vitamins 2018” and I’m sure most people can take notes from this article. One thing most people lack experience while aware of healthy hair care. Well, this post will give me much good ideas for healthy hair. But I have a little question that have this pills any side effect? Thanks and keep it up……. Thanks for the informative and helpful post. I was confused to select the best one for my hir. You have nicely described and I guess now on I have no doubt to chose one for me from the list. The article is extremely useful and the products shown are much more beneficial. In addition, I have also listed the top 5 products for hair growth which can be a good add-on for your article.